Zahra’ Langhi, co-founder of Libyan Women’s Platform for Peace (LWPP), led a seminar 7 April 2013 for RN’s MENA constitutional advocates–by Skype and across continents–on the role of women in public life in Libya. The seminar is one of a series of discussions, initiated during a conference in Tunis this past January, for the program “Informing the Constitutional Moment” funded by the National Endowment for Democracy. - The importance of having women in leadership positions in government, notably in the Council of Ministers and in the judiciary. Only two women are ministers, but the judiciary has succeeded in keeping a place for women judges since the pre-Qaddafi period. LWPP’s challenge to Art. 30 of the constitutional provisions concerning the important election or appointment of the 60 members of the constitutional assembly was also discussed. - The wider comparative constitutional framework, including the latest Constitution passed in Zimbabwe, which established in Section 16 an elaborate role for women in public life in the future of the country. The participants resolved to publish the paper and some of the most interesting discussion that followed, including new ideas for bolstering the effectiveness of women in charting the future of the country. RN is increasingly engaged in Libya and will participate more actively, with LWPP and other prominent civil society organisations, in the enhancement of the public quality of the constitutional debate in a country with immense potential for the region. As Libyans consider proposals for selecting the Constituent Assembly, they can benefit from a thorough review of various methods of selecting constitutional drafters from the region and from history. Such models can inform Libyans about problems to avoid and successes to follow in creating an overall constitutional procedure that legitimises their constitution and prepares it for long-term success. The article by Lorianne Updike Toler and MECF director Tobias Peyerl published in the Libya Herald provides two models from the region—Egypt and Tunisia—and four from history—Massachusetts, the United States, Poland, and Norway. 18 March 20120, Right to Nonviolence is pleased to post an important contribution of prominent Libyan lawyer Azza al-Maghur on the structural deficiencies of the Libyan constitutional process afoot in the post-Qaddafi constitutional moment. In her analysis, Ms. Maghur demonstrates in detail the major constitutional black holes that need an immediate remedy. 1- The Constitutional Declaration issued by the Transitional Council before the fall of Qaddafi is an ad hoc declaration that has no legitimacy at present. It must not be considered a basis for the new elected assemblies. 2- The timeline must be clarified in terms of the mandate of the projected General National Assembly, al-mu’tamar al-watani al-`amm. The government and the Assembly are at risk of entering into an open-ended, authoritarian process with no time limits and no clear sequencing. 3- The merger of legislative and executive power adopted during the transition through the fall of Qaddafi is no longer acceptable. A clear distinction of the executive and legislative branches of government must be implemented immediately, possibly by the constitution of a presidential council that is distinct from the General National Assembly. 4- Women have been sidelined by the process. Restoration of the leadership role of women in the revolution must translate with a fair and adequate representation in all elected assemblies and government bodies that secures their effective taking part in the governance of the country. 1. Nehal El-Sherif, Confusion in Libya on constitutional change ahead of election, DPA, Link (last visited Jul 16, 2012). 1. Umar Khan, Husni Bey blasts NTC’s decision to freeze assets, Libya Herald, May 20, 2012, Link (last visited Jun 27, 2012). 1. AFP: Libya tweaks constitution in concession to regions, AFP, March 15, 2012, Link (last visited May 19, 2012). 1. Reconciliation Committees Helping Settle Tribal Differences in Libya, PM El-Keeb Tells UN, The Tripoli Post, March 8, 2012, Link (last visited Jun 27, 2012). 1. Contribution of Azza al-Maghur on the structural deficiencies of the Libyan constitutional process afoot in the post-Qaddafi constitutional moment (March 18, 2012), Link (Arabic). 2. Al Arabiya News, Libya’s NTC adopts election law, drops women quota (2012), Link (last visited Mar 11, 2012). 3. 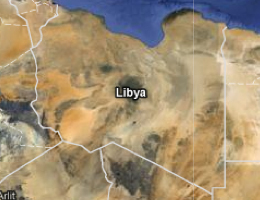 Jurist, UN welcomes new Libya electoral law (2012), Link (last visited Mar 11, 2012). 1. Libya scraps Gaddafi-era law forbidding political parties, The Jerusalem Post, January 4, 2012, Link (last visited Jun 27, 2012). 1. U.N. ends mandate for NATO mission in Libya, CNN Wire, October 27, 2011, Link (last visited Jun 27, 2012). 1. Security Council passes resolution establishing Libyan support mission, CNN Wire, September 16, 2011, Link (last visited Jun 27, 2012). 2. China Vows Continued Support for Libya’s Reconstruction, Xinhua, September 17, 2011, Link (last visited Jun 27, 2012). 1. Alex J. Bellamy & Paul D. Williams, The New Politics of Protection? Côte d’Ivoire, Libya and the Responsibility to Protect, 87 International Affairs 825–850 (2011). 2. Michael N. Schmitt, Wings over Libya: The No-Fly Zone in Legal Perspective, 36 Yale Journal of International Law 45–58 (2011) Link. 3. Security Council Approves ‘No-Fly Zone’ over Libya, Authorizing ‘All Necessary Measures’ to Protect Civilians, by Vote of 10 in Favour with 5 Abstentions, UN Department of Public Information, March 17, 2011, Link (last visited Jun 27, 2012). 2. Marko Milanovic, Security Council Adopts Resolution 1970 (2011) with respect to Lybia, EJIL:Talk!, February 27, 2011, Link (last visited Jun 27, 2012). 3. Michael N. Schmitt, Wings over Libya: The No-Fly Zone in Legal Perspective, 36 Yale Journal of International Law 45–58 (2011) Link. 1. Jurist Legal Intelligence, Libya – Constitution, Government & Legislation, Link (last visited Jan 10, 2012). 2. H.-P. Mattes, Islam und Staatsaufbau. Das theoretische Konzept und das Beispiel der Sozialistischen Libyschen Arabischen Volks-Jamahiriya (1982). 1. Hisham Ben Ghalbon, Libya’s 1951 Constitution- A Major Achievement and a Gain for the People, Libyan Constitutional Union, 1999, Link (last visited Mar 14, 2012). 3. J. Abr. Frowein, Das de-facto-Regime im Völkerrecht: Eine Untersuchung zur Rechtsstellung „nichtanerkannter Staaten“ und ähnlicher Gebilde (1968).